Tel Aviv. Stores to open on Shabbat? The government-appointed committee headed by the Prime Minister's Office general manager Eli Groner, filed a report to ministers recommending commerce in Tel Aviv on Shabbat. 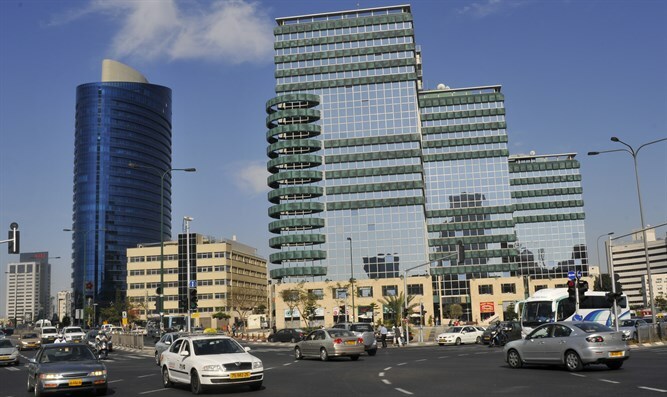 The committee, whose members include general managers of government offices, recommended that the Tel Aviv municipality allow chain store networks and shops within its jurisdiction to operate on the Sabbath. Committee members recommended to approve the second amendment to the proposed Tel Aviv municipal bylaws (Opening and Closing Stores on Shabbat), and essentially to allow the continuation of the activities of 164 shops in the city on Shabbat. It should be noted that the shops which the municipality seeks to allow to operate on the Sabbath are in addition to three commercial and recreational complexes already open on Saturday. If this recommendation is approved, the municipality will be able in the future to increase the quota of permits granted to businesses to open on Shabbat. In addition, the report recommends the approval of the proposed Tel Aviv municipal bylaw (Opening and Closing of Stores on Shabbat) under the following conditions: The number of permits for carrying on business on Shabbat will be limited to 140 in the city, and the municipality will not be allowed in the future to increase the maximum number of permits for commercial activities on Shabbat within its jurisdiction. The Shabbat Equality Coalition said in response that "this is the first time in 68 years that the Israeli government is expected to approve the trampling of the status quo, a clear and conscious decision." "Approval of the three recommendations in the report of the CEO's Commission means brutal trampling of the most basic and precious Jewish value - Shabbat. The committee had to choose between the workers and small businesses and tycoons. Unfortunately, it chose the wealthy. Now this is zero hour. Shabbat trade is one step away from receiving judicial approval. Let us not be deluded: The meaning of the expected decision does not only affect the city of Tel Aviv, but has nationwide implications, and will allow the opening of business on Shabbat in Jerusalem, like in Givat Shmuel and Beit Shemesh," the coalition warned. It was also said that "someone 'fell asleep on duty', and if he does not wake up and act now, the government's decision will be a cause for sorrow for generations. Interior Minister Aryeh Deri must demand that authority over Shabbat trade be returned to him and to put an end to the scandal." "Could it be possible? Commercial centers, clothing and footwear chains, food chains - all of them open on the Sabbath? If one of the conclusions of the directors-general committee is adopted by the government, it will not be possible to turn back the clock, and then we can no longer say 'we did not know and we did not hear'. Today, 20 percent of Israeli commercial centers are open on the weekly day of rest, and every Shabbat, thousands of Israelis hit the malls at the expense of business owners who want to rest on Shabbat, and at the expense of the rights of thousands of workers' weekly rest time", said the Shabbat Equality Coalition. Its members called on the Interior Minister "to formulate a response to the Supreme Court, and to safeguard the status of the Shabbat as a day of rest in Israel, for all of Israel."